British and Irish Lions captain Sam Warburton has announced his retirement from rugby at age 29. Sam Warburton retires at 29. Remarkable player and bloke, and an exemplary leader. Hell of a career. Sad to hear of Sam Warburton’s retirement but he can look back with immense pride on his career. 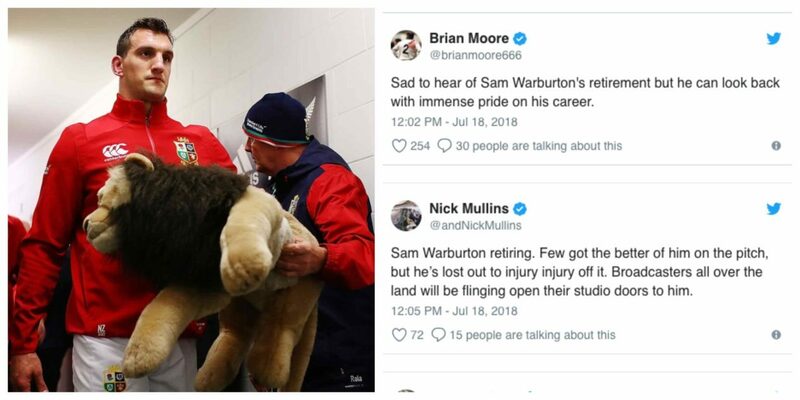 Sam Warburton retiring. Few got the better of him on the pitch, but he’s lost out to injury injury off it. Broadcasters all over the land will be flinging open their studio doors to him. Sam Warburton, 29, has retired from rugby. Some player, some career. Gutted to hear he's been forced to retire, but what a career Sam Warburton has had. On behalf of rugby fans everywhere I'd like to raise a toast to one of the finest opensides out there.